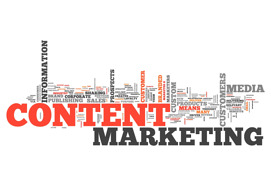 Content marketing is here to stay. One focus of any company's marketing strategy is generating high-quality leads. Visitors with an interest in the company and its products want to see something besides product descriptions and high-pressure calls to action. Content marketing for leads is the way to increase sales conversions. Many companies have a vague idea of who they want to visit their website. But, the smartest companies have a full persona developed for each of their target customers. Some companies have one target while others have a stable of them. Understanding a company's target customers will give the clues needed to develop quality content focused on their needs. With focused content, the company will see higher quality traffic and more high-quality lead generation. Content marketing for leads begins with interesting titles. Quality titles attract quality visitors. A focused, action packed title will tweak a visitor's interest and make that person want to read the entire piece. That is when quality content takes over the sales process. However, without a title to gain the visitor's interest, the first visit will not happen. Providing good titles also works to make a first time visitor click further into the company's website. Exploring quality content begins with quality titles. Interesting titles will increase quality traffic to a company's website. In turn, it will generate high-quality leads. Trying to pack too much information into a single page will turn off anyone trying to read it. Each piece of content added to a company's website needs to focus on a single topic. It is better to have several small focused pieces of content than one long one that wanders into to too many topics. Smaller pieces of related content offer the chance to create internal links and offers more opportunities to generate off-site links. Focused content also tweaks visitors' interest in getting more information. That is the perfect transition to get quality leads. Smart calls to action are the ones that are subtle but very effective. The fastest way to sabotage content marketing for leads is to come on too strong. Many people who browse the Internet regularly expect to seeing strong calls to action. These CTAs usually have flashing visual effects and over sized fonts pointing to a form where the web site owner wants a visitor to give information. These strong CTAs turn visitors off. They are the hallmarks of companies that spam email. Subtle calls to action are integrated into the web page's content. The visitor can read the content without distraction from strong CTAs. Near the end of the piece, a subtle CTA invites them to get more information or to contact the company. Social media is here to stay. Integrating social media into a company's web page provides an easy way for visitors to share quality content. Providing a social media face to the company also attracts more visitors and followers. Higher traffic is a result of this interest. Pairing quality content with social media interest provides quality leads that convert to paying customers. Smart companies need to leverage content marketing to the fullest extent. Using quality content that is focused with smart calls to action will generate interest on social media and increase traffic. Higher traffic numbers will generate quality leads. Content marketing for leads is the beginning of a successful sales cycle.